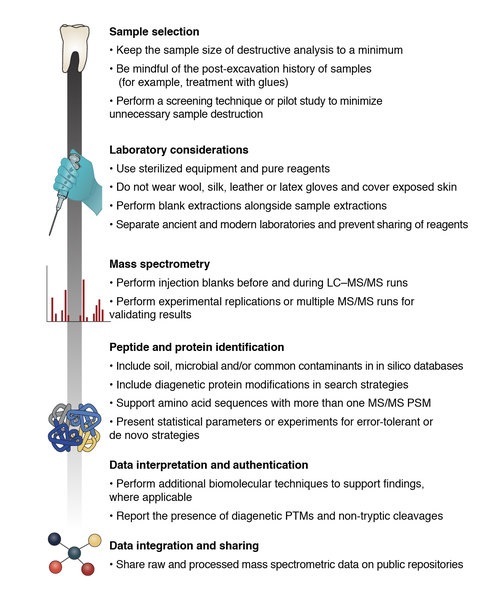 A team of international researchers recently published a study in the magazine Nature Ecology & Evolution outlining new standards for procedures in researching ancient proteins. Niels Bohr Professor Matthew Collins, from the Natural History Museum of Denmark at the University of Copenhagen, together with a group of international researchers from, among others, the Max Planck Institute for the Science of Human History, recently published guidelines for the study of ancient proteins. The study of ancient proteins, called “paleoproteomics,” is a part of proteomics, the study of proteins. 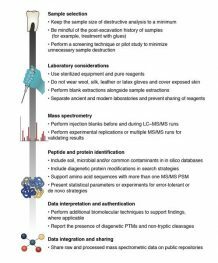 Palaoproteomics is a relatively new research field that has gained increased attention in recent years. Proteins are far more sustainable than DNA material, which decomposes relatively fast. By analyzing ancient proteins, the researchers can travel back in time and develop unique insight into the intersection between the archeology, evolutionary biology, and anthropology of the past. New technologies have made it possible for scientists to analyze proteins with greater intensity and in far more detail than previously achieved. With these technologies, the researchers can, for example, track the expansion of dairy products in ancient history or characterize immune responses from people who died thousands of years ago. These new insights now allow researchers to provide better and more qualified answers to questions regarding chronic diseases and the evolution of extinct species. However, the newness of the field of paleoproteomics means that the research field lacks consolidated scientific guidelines for procedures in studying ancient proteins, a deficit that Collins and the international research group have helped to fill in. With the development of the new guidelines, the researchers have created an important basis for the future research of ancient proteins. Read more about the research result in Nature Ecology and Evolution here. Further information about the research can be found at The Max Planck Institute for Science of Human History here.